There are many ways in which we participate in Forex markets, for example when buying foreign currency for holidays, or when shopping abroad. Companies also have to be aware of exchange rates when dealing across foreign exchanges. Governments also trade forex to rectify economic imbalances rather than to earn profits. But what about trading Forex? Well, unlike regular markets, Forex never sleeps and can be traded around the world during business hours 24 hours a day 5 days a week. This allows for greater opportunities to watch the markets and trade day or night and take advantage of short or spot selling. Short selling allows currency to be sold before it has been bought, enabling profits to be made when the currency is bought back at a cheaper rate. Thus, this short selling enables profits to be made regardless of which way the market is trending. There are no limitations for short selling currencies, with potential opportunities around every corner. Money can be made and lost at any time. It pays to know your business, if you suspect a currency is going to rise, buy, and equally if you think it’s going to fall, then sell sell sell! Trading costs and commission for forex accounts tend to be comfortingly low. Trade direct quotes from liquidity providers safe in the knowledge that there are no hidden or nasty mark-ups. No other trading environment provides the liquidity that Forex can with volumes reaching $4 trillion a day, trading is concentrated in a few currencies spread amongst a high volume of traders. Thus it’s relatively easy to get in or out of trades even when large amounts are being traded. Leverage is unprecedented in forex, unlike any other market. Forex can be traded with substantial leverage of up to 50:1. This means that with just $1000 in your account, you can trade up to a value of $50,000. Therefore by committing just $1000, you can still make profits on $50,000. Although, it’s also wise to bear in mind that there is an equal risk of losses on $50,000. Gains can be high, but equally so can losses. With increasing globalization, investing in another country’s currency or selling it short provides great opportunities for investors. Trading Forex can be an easy way to avoid the pitfalls of securities laws and financial statements in foreign languages whilst gaining exposure to foreign markets. Volatility allows traders to speculate on the markets and take advantage of fluctuating exchange rates. Spot trading puts in place a contract to trade an agreed amount of currency at the advertised spot rate or buy/sell price enabling speculative gains. One caveat to ensure success in Forex trading is to ensure that you trade risk capital, i.e. capital that you can afford to lose. Moreover, it is also vital to ensure that the broker you choose is suitably regulated and in good standing subject to regulations within their country of registration. 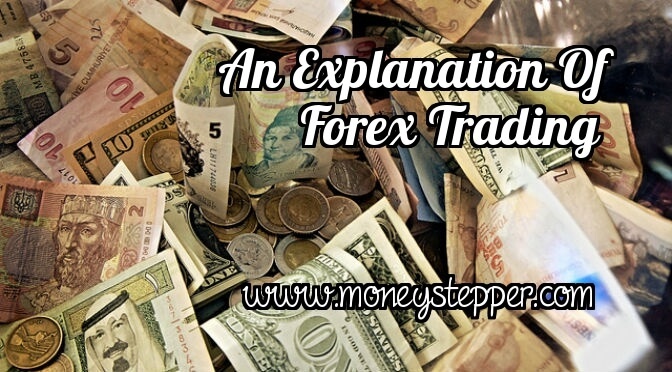 Forex trading can be an exciting and lucrative way to capitalize on Forex market volatility. However, having a knowledgeable broker can make a marked difference in your success or failure in this arena and cannot be underestimated. Knowledge is key to maximizing profits and predicting market fluctuations of which you can take advantage. An experienced broker can provide the technical analysis required to help you make informed decisions and build success, something which is particularly vital if you are new to Forex markets. With the right kind of tools available on your broker’s website and a guiding hand, there’s no reason why your forex portfolio can’t perform highly so long as you have the right intelligence. Which is the best forex trading platform?